In September 2018, the BFUG formally established this Thematic Peer Group C on Quality Assurance (TPG C on QA) – more specifically on Key Commitment 3 (Quality Assurance in compliance with the Standards and Guidelines for Quality Assurance in the European Higher Education Area) – based on the interests and needs indicated by the BFUG members and Consultative members in a survey conducted during the summer of 2018. European Approach to the QA of joint programmes. 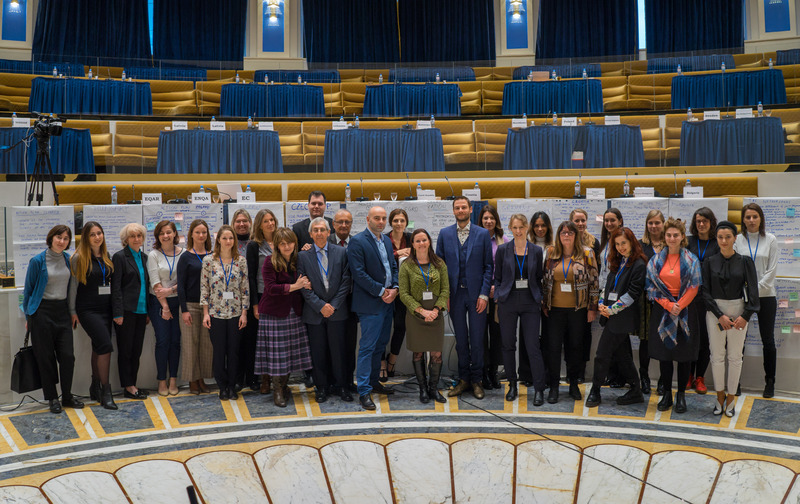 Outline of the project "Support to the implementation of EHEA reforms 2018-2020"
Albania, Armenia, Austria, Belarus, Bosnia and Herzegovina, Bulgaria, Croatia, Czech Republic, EI-IE, ENQA, EQAR, EURASHE, ESU, EUA, European Commission, France, Germany, Greece, Hungary, Iceland, Italy, Kazakhstan, Latvia, Liechtenstein, Lithuania, Malta, Moldova, Montenegro, The Netherlands, North Macedonia, Poland, Portugal, Romania, Serbia, Slovak Republic, Spain, Sweden, Switzerland, Turkey, Ukraine, UNESCO, United Kingdom (Scotland).